THIS AUCTION IS FOR A LOT OF 12! 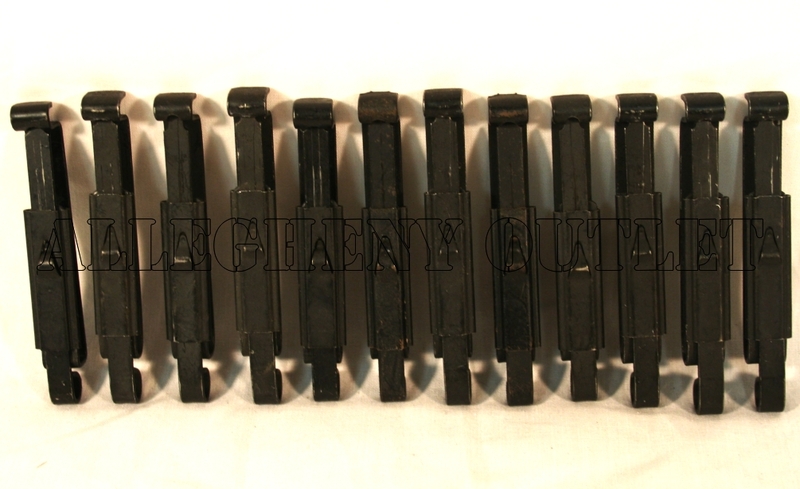 These Military Alice Clips (Belt Keepers) are made of Black Anodized Steel, and are used for attaching Military Field Gear: Bags, Ammo Pouch, Canteen, First Aid Kit, Entrenching Tool Shovel, Carriers, Carpenter Tools, Hammers, and more! They easily clip onto your Individual Utility Web Belt or Pistol Belt, Ammunition Vest, all ALICE Field Packs, Ruck Sacks, as well as other Military Load-Bearing Gear.